EaseUS Partition Master Technician Edition portable is an ALL-IN-ONE PC & Server disk management toolkit for IT professional, system administrator, technician and consultant to provide technical service to clients with unlimited usage. 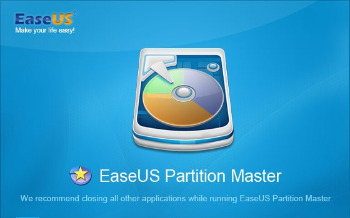 It covers all the features of EaseUS Partition Master Server Edition and brings together with three main functions including: Partition Manager, Disk & Partition Copy Wizard and Partition Recovery Wizard. – Extend NTFS system partition without rebooting to maximize PC performance. – Safely merge two adjacent partitions into a bigger one without data loss. – Convert dynamic disk to basic disk and convert FAT to NTFS file system. – Convert primary partition to logical partition and vice versa: convert a primary volume to logical to create a fifth volume on a disk with 4 existed primary volumes. – Speed up your computer by defragmentation. – Copy partition with fast file-by-file copy to protect your data. – Copy entire hard disk to another without Windows reinstallation. – Upgrade system disk to a bigger one with one-click. – Safely copy dynamic volume to basic disk and resize the basic disk, etc. – Recover deleted or lost partitions from unallocated space due to any personal, hardware or software failure or virus attack. – Recover deleted or lost partitions after repartitioned hard drive. – Two recovery modes in Partition Recovery Wizard: Automatic recovery mode and Manual recovery mode. – Supports FAT, NTFS, EXT2 & EXT3 partition recovery. Modify the digital signature of the driver files for windows 10. Improve the 4K alignment function. Bug Fixed: Drive letters changed after resized in Windows 10. Bug Fixed: Crash issue caused by .ini file analysis failure.